Journalist, broadcaster, food enthusiast, television personality and celebrity chef, Nigella Lawson has made a career out of her enjoyment of food and making cooking an expression and engagement of life. The domestic goddess has fans in women and men alike, as Lawson approaches food in a relaxed, uncomplicated manner and draws pleasure from all sides of cooking- the prepping, the making and the eating. Where most people control their lives through the ways that they eat, Nigella celebrates the balance, the joy, and necessity of food. She sees food as not only a vital source of life, but as a playful and hopeful way to connect with family, friends and life as a whole. 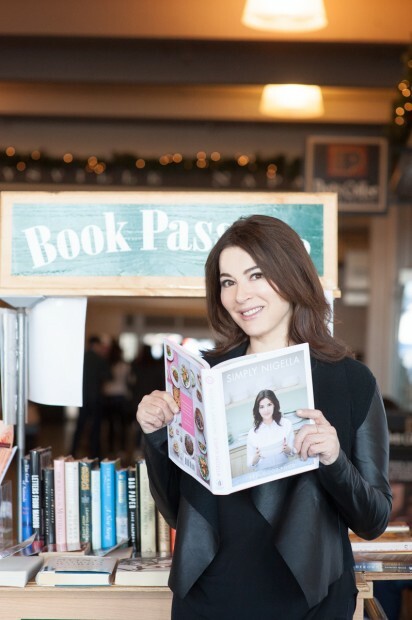 Her latest book, Simply Nigella, celebrates this movement creating food that makes everyone feel good and TPFW gets some great new recipes via this talented lady.